I will not be going to my work's Christmas night out. Partly because I don't really like these types of things, and partly because I didn't think I'd be up for it. I'm still pretty much exhausted in the evening after looking after my sweet baba all day. I'm sure that will change with time. 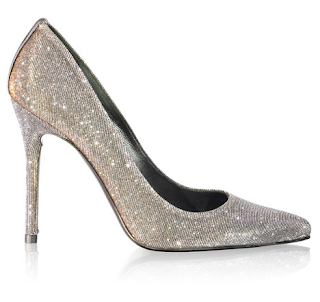 In the mean time, I still like shopping for party looks, even though I won't be joining the party this year. I love this indigo blue silk satin dress by Teija Eilola at Young British Designers. A more perfect party dress I don't think you'll find. PS - It has pockets! Though you'd come close with this embellished party dress by ASOS Black, with a purse friendlier price tag. Or maybe you're a trouser girl. This great Origami top would look chic with some skinny leather (or faux leather) trousers and killer heels. 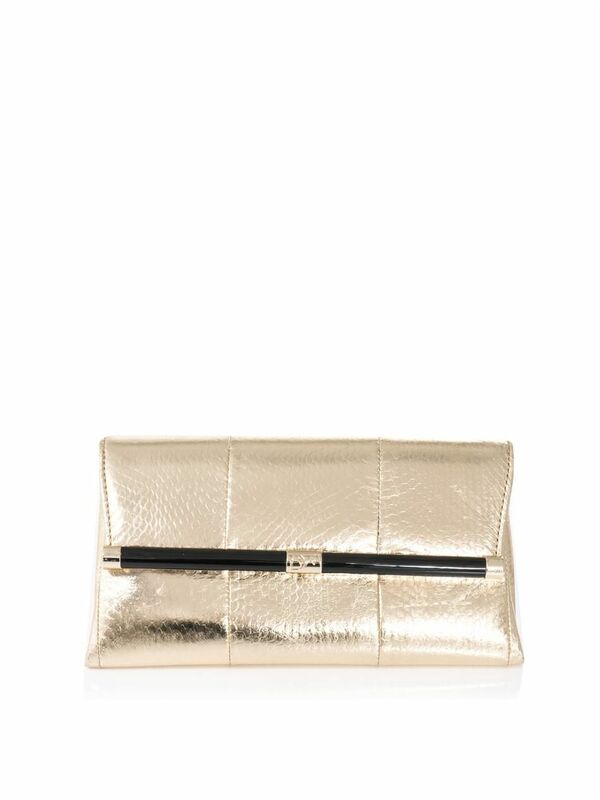 A classic gold clutch, like this one by DVF at Matches, will see you through parties and nights out for years to come. 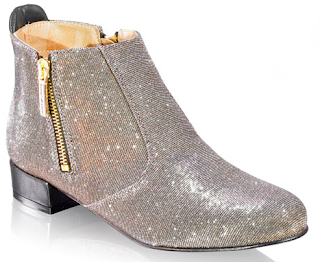 Or if silver is your colour, Russell and Bromley have created a range of silver glitter shoes in pretty much every style and heel height you could desire - from chelsea boots to ballet flats to platform heels. If you want to eschew the traditional costume jewellery studded with crystals, try a statement alternative like this leather necklace from Boticca. But, if bling is your thing, you could wear something like this crystal star necklace. And, as usual, I like to throw a crazy expensive curve ball at you, like this 18kt red gold, jasper and brown diamond pendant. Is there any outfit this wouldn't go with?